Cape Town - SA's Companies and Intellectual Property Commission has laid criminal charges against the local units of audit firm KPMG, management consultants McKinsey and software giant SAP SE. The cases were opened with the South African Police Service between November and December for contraventions of the country’s Companies Act, the regulator’s spokesperson Tshiamo Zebediela said in an emailed response to questions on Wednesday. The CIPC “has been looking into these companies since July 2017”, she said. The CIPC is one of the first local regulators to bring criminal complaints against the companies for their dealings with entities linked to the Gupta family, who are friends of President Jacob Zuma and in business with his son, Duduzane. Zuma and the Guptas have consistently denied any wrongdoing. It comes as the country’s prosecutors move to freeze assets held by McKinsey and a company linked to the Guptas. The regulator pushed ahead with criminal charges following the leaking of the trove of emails that last year indicating how the Guptas used their relationships with government ministers and officials to profit from state business, including from power producer Eskom. McKinsey: The consultant may have contravened the Companies Act by informing Eskom that Trillian Capital Partners (Pty) Ltd. was acting as subcontractor for a portion of a project when McKinsey had never entered into a formal agreement with Trillian. McKinsey spokesperson Bonita Dordel told Johannesburg-based Business Day that the firm was not involved in bribery or corruption for work related to Eskom. 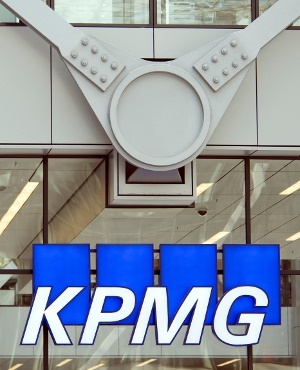 KPMG: The auditor may have failed its own risk management and quality controls when compiling a report for the South African Revenue Service and making legal conclusions that went beyond its mandate and professional expertise. KPMG is aware of the CIPC matter and the legal team isn’t available for comment, spokesperson Nqubeko Sibiya said. SAP: The use of the provider of compliance software of an outside contractor to win business from state-owned transport company Transnet may have broken the law, because SAP was aware that the contractor was not in the same line of business as SAP. SAP, which suspended its South African management team last year, didn’t immediately respond to emailed requests for comment.